Caffe Vita doesn’t just roast the best coffee on earth — we inspire people.  Founded in 1995, Caffe Vita is Seattle-based and independent, with cafés throughout the Pacific Northwest, Portland, Los Angeles, and New York. We are pioneers of the Farm Direct movement, meticulously sourcing the best coffee available while developing long-term, mutually fruitful relationships with coffee growers in more than 11 countries. We work with and invest in farmers who are committed to sustainable practices. We are artists, teachers, community leaders, and philanthropists. Together, we have created an exceptional reputation for coffee excellence and culture. Our driving mission is to provide the best coffee and service in the world. We prioritize environmentally conscious and ethically sourced products to build and sustain better business practices. Through this mission, Caffe Vita has developed a cult following.